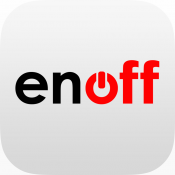 PreApps App Ideas - enoff - app that pays you by being offline! enoff is a mobile app against smartphone addiction by suggesting common temporary phonelock with your friends, relatives, collagues when you are together! It pays you if you are our "enoff-ambassador" and make fellows using enoff. Be enoff for REAL conversations, REAL life! We are a startup from Hungary in Bootstrapping & validation phase to develop an app against smartphone addiction. It rewards you if you are offline with your friends! How does your app generate revenue then? I assume that it is a free app and on top of that you have to pay the customizers for nothing in return.